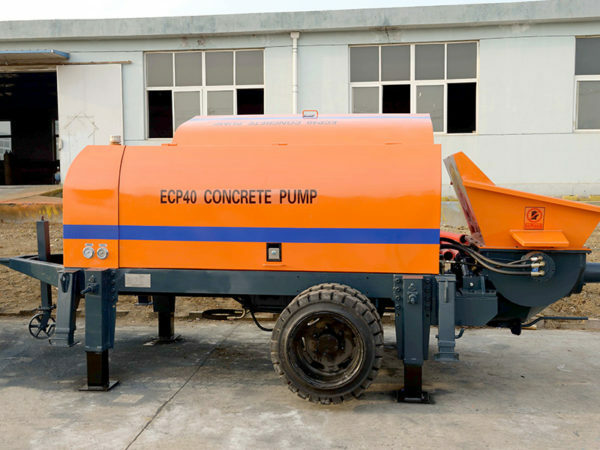 Electric concrete pumps adopt electricity as its original power. 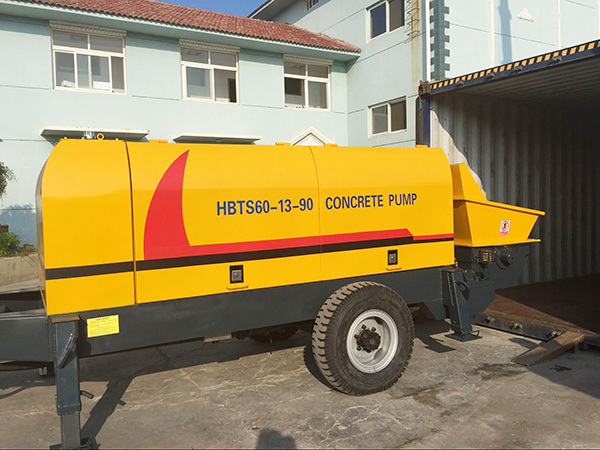 Unlike the diesel concrete pump, the concrete pump with electric engine only can work in the areas with sufficient electricity power. 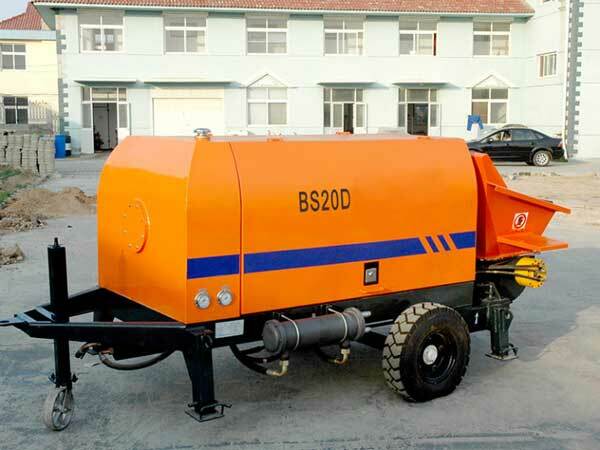 Our small electric concrete pump can be used in the small construction sites. 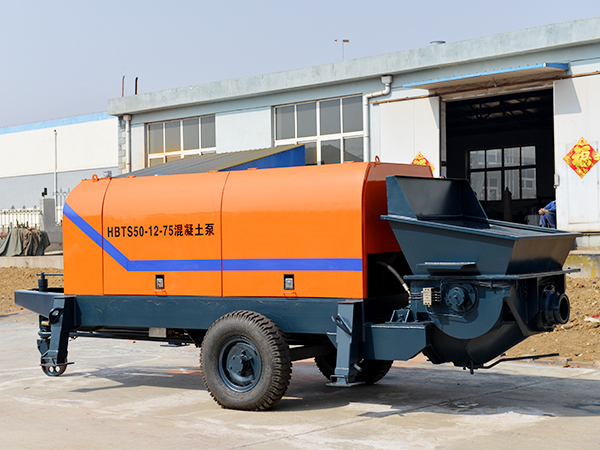 Our electric concrete pump for sale has the advantages of high working efficiency, good concrete quality, low dust concentration, low rebound rate, low failure rate and low engineering cost. 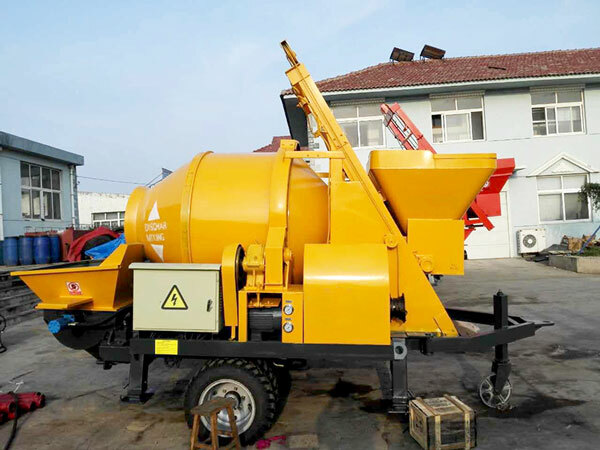 Usually, electric concrete pump suppliers not only produce electric concrete mixer pump, but also electric trailer concrete pump. 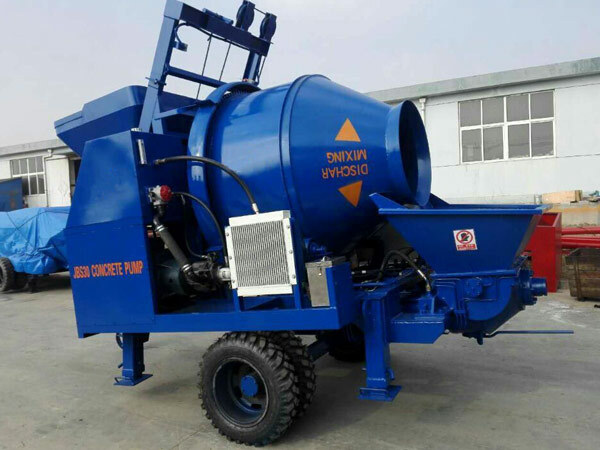 Electric concrete mixer with pump perfectly combines the function mixing and pump. 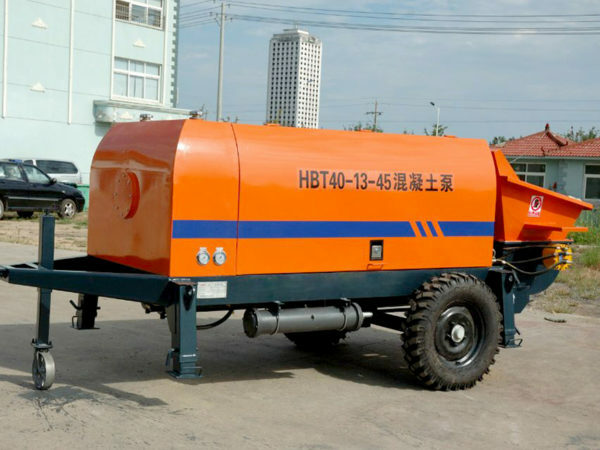 Electric trailer-mounted concrete pump can achieve horizontal and vertical pumping. You can choose suitable product according to your needs. 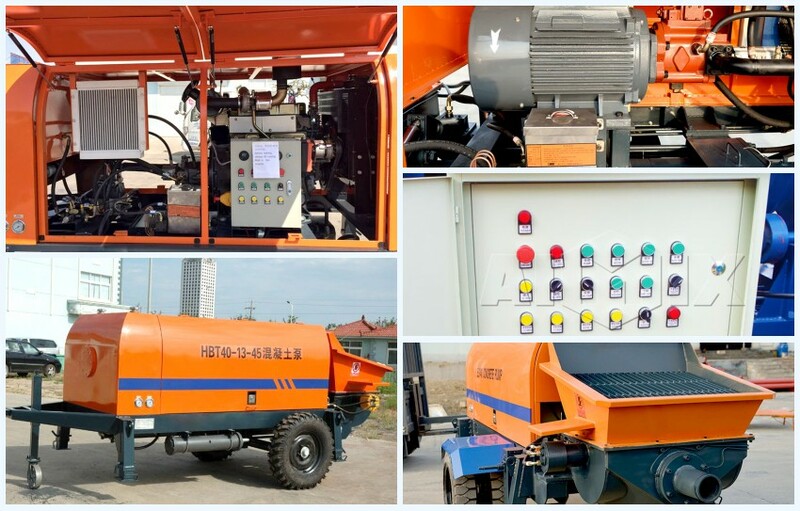 Our electric concrete pumps have strong power system, reliable hydraulic system, efficient pumping system and excellent electrical control system, which fully meet the modern construction requirements of high efficiency and low consumption. We use a fully enclosed electrical control box, which can protect control device normally working under bad conditions. Because of electrical components from international well-known brands, our electric concrete pump has characteristics of low failure rate and stable performance. Adopt wired remote control, which is safe and convenient to operate. The program controller is used to simplify the circuit, so the reliability and life of the circuit are remarkable. The fault display function is provided, which is convenient for troubleshooting. Adopt tilting side door. This is easy to operate and maintain the portable concrete pump. The side door is made by special technology that can effectively reduce the working noise. 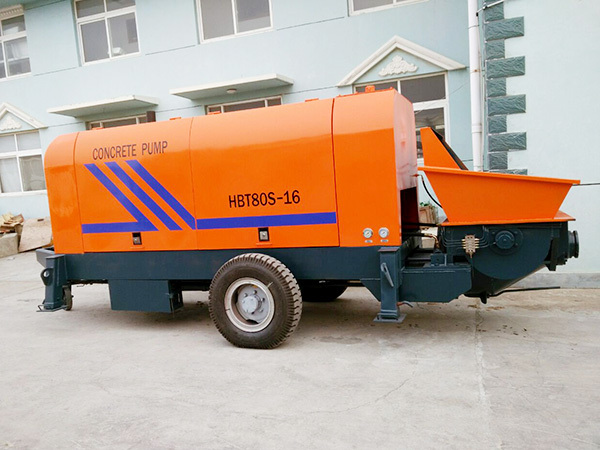 Electric concrete pump is with double pump and double loop open hydraulic system. The oil circuit of pumping is controlled by non-contact automatic commutation and extension stage, avoiding commutative impact which is accurate, stable and reliable. 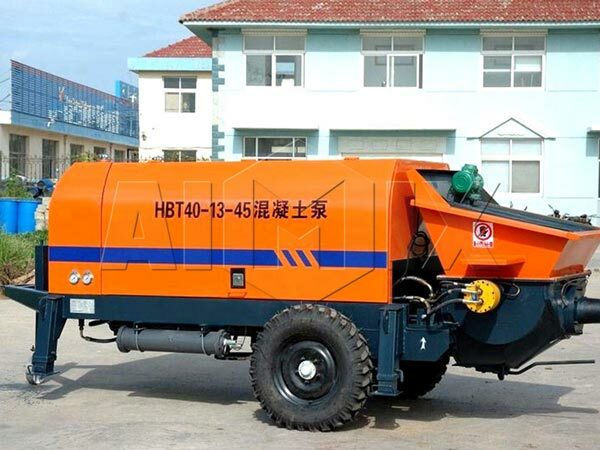 Hydraulic system is equipped with safety overflow protection and over-pressure automatic cut-off device, so that the main pump can get more reliable protection. By using suction filter technology, foreign bodies are avoided from entering hydraulic system. When the reliability of the system is improved, the service life of the system components is prolonged. 1. Adopt triple pump system, and hydraulic circuit does not interfere with each other, which makes the system can work normally. 2. Electric small portable concrete pump has the function of reverse pump, which is propitious to troubleshoot the plugging pipe in time, and can stop to wait for concrete in a short time. 3. Electric concrete pump is driven by electricity, which is more convenient to operate and maintain. It can make high pumping efficiency with powerful electricity. It has remote control function, which has improved control distance. 4. The electric pumping machine has high absorption ability and the pumping efficiency is higher. 5. The special buffering technology of distributing oil roads can ensure s-tube swing in right position and prolong the service life of s-tube. 6. 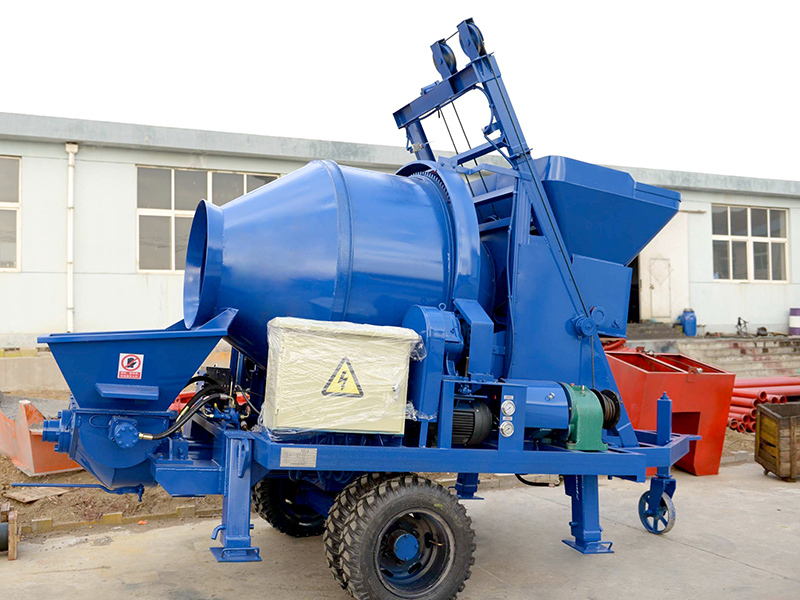 The new design of hopper can ensure concrete flowing smoothly. 7. It adopts s-tube valve with good sealing quality, which can automatically compensate wear clearance. Besides, the possibility of internal and external leakage in the hydraulic system can be eliminated by high quality sealing function. 8. 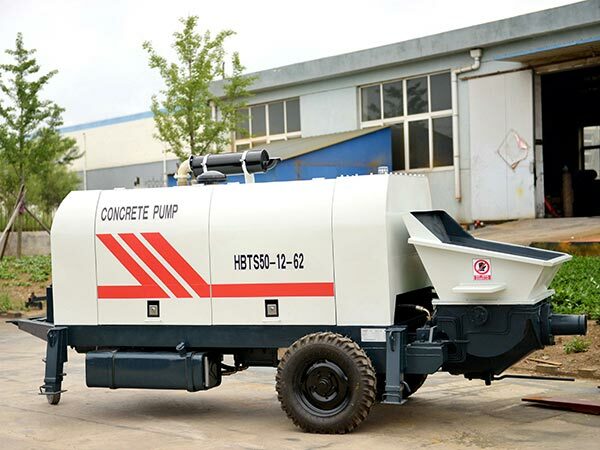 Concrete cylinder is made up of high wear-resistant materials, which can prolong concrete pump’s service life and decrease customer’s maintenance cost. 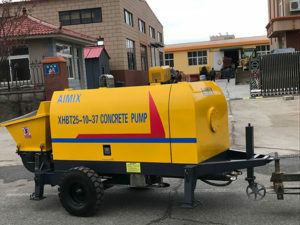 In recent years, a lot of electric powered concrete pumps can not be used normally because of irregular operation, so how to safely operate the electric concrete pump? 1. 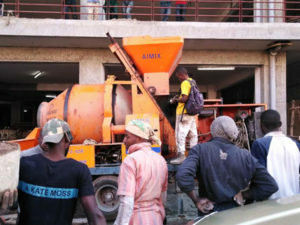 The electric concrete pump should be as close as possible to the construction site. Construction site should have convenient, safe and reliable power source. 2. Know if concrete has additives, especially if the maximum aggregate is not larger than one third of the pipeline. 3. Check if the electrical equipment is in good condition, if the various instruments are normal and if the switches, buttons and handles of all parts are in the specified position. 4. Check the amount of water in the water tank and observe whether there is oil pollution or turbidity. If necessary, the muddy water should be released and refill with fresh and clean water. 5. Check hydraulic oil, lubricating oil level, oil quality and oil quantity, all of which should meet the requirements. 6. 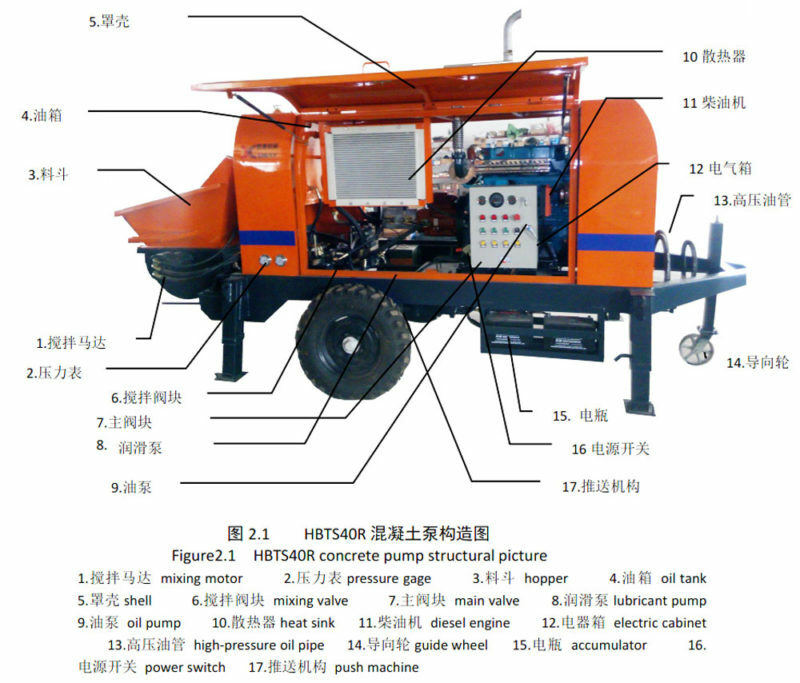 Check the gap in each part of the valve of electric concrete pump and mixer. If the gap exceeds the standard range, you should adjust the gap. Then check whether the connection part is loose. 7. For the arrangement of conveying pipe, the number of bends should be reduced as far as possible. The connection of each pipe must be tight, and the conveying pipe and pump should be supported firmly in order to reduce vibration. 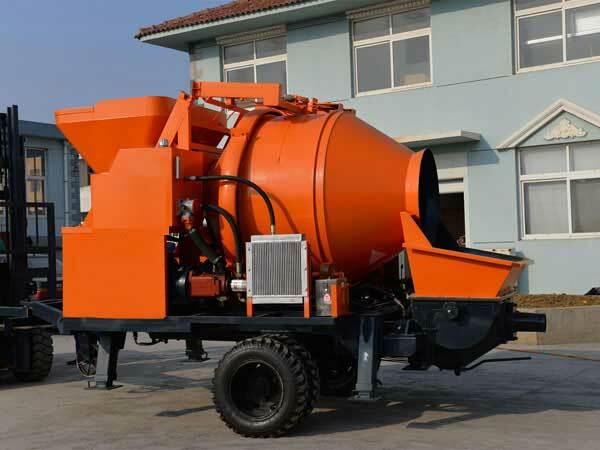 As the electric concrete pump manufacturer, our company has some other products, such as, concrete mixer pump, diesel concrete pump, portable concrete mixer and pump, etc. If you are interested in our products, please connect with us immediately. We will provide you with sincere service with full enthusiasm.